Myths of Our Time | A blog dedicated to social critique. While I have been quiet here I have been busy elsewhere over at our new site Drunk Tree Society. While the new site still concentrates on a societal focus it is much less theory-laden than much of the stuff here. There is more to come here however. 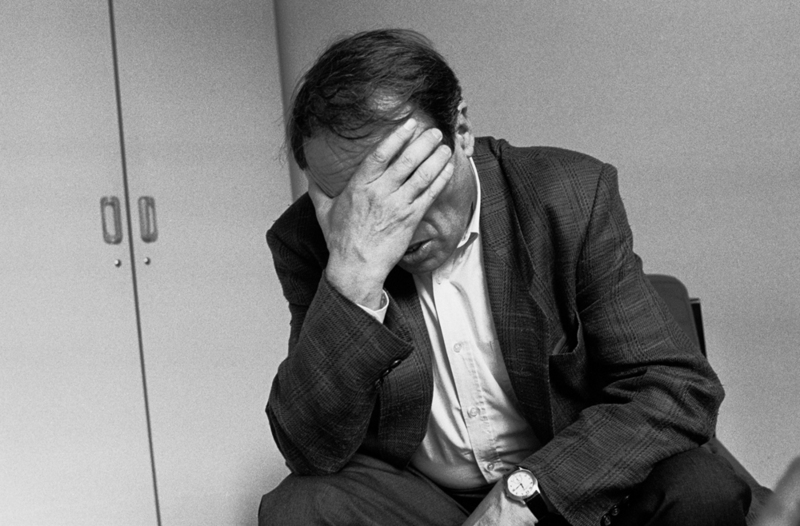 The next Myths of Our Time post will look at Bourdieu’s stance on autobiographies. Bottero and Crossley’s (B & C) (2011) article in Cultural Sociology Worlds, Fields and Networks: Becker, Bourdieu and the Structures of Social Relations, argues that because Bourdieu dismisses the causal role for interactions his conceptual model of society is untenable as it is forced to operate linearly with structures forming dispositions and dispositions producing interactions. I have responded to their argument elsewhere (Fox, 2014),stating that Bourdieu’s idea of interactions is that they are in fact anti-dichotomously connected to structure. How the objects of the interaction relate is part of broader societal structures which are re-enacted within the exchange, which itself plays its subtle part in whether interlocutors reject, reproduce, retranslate, etc, the logic of these structures. I don’t intend to enter into that discussion again here. Instead I wish to argue how it is that such misreadings of Bourdieu have emerged in the first place. The techno-utopian myth has already been deeply problematized by environmental sociology, practice theory studies, science and technology studies and the Risk Society debate. Technological developments do not neatly perform to planned expectations. There are often unforeseen unintended consequences and human beings are not the passive recipients of intervention and innovation that is often assumed. With automation the techno-utopian dream has clear conflicts up ahead. Self-service checkouts, driverless cars and heavily automated factories and warehouses (such as those used by Amazon) already exist. Moreover the threat to jobs is not just in blue collar sectors. A Japanese insurance firm Fukoku Mutual Life Insurance recently made 34 office employees redundant and replaced them with artificial intelligence software. There have even been robotic developments in surgery that could eventually threaten the value of human surgeons.So what will become of the mass of workers that they are intended to replace? The question asked in the title is a valid one for the public interest and public debate. How is an economic system that distributes vast amounts of income to citizens through the market value of labour going to contend with the masses whose market value disappears? Who are they then going to sell goods and services to? Will there be a sufficient amount of conspicuous consumption from the remaining elites to keep afloat a market of luxuries while the rest of the public are made destitute? Will the breakdown in collective action under neoliberalism prevent a public backlash from occurring or when faced with dire impoverishment will the masses rise up in effective numbers? If they do will police and military hold firm against impoverished millions or will they too be automated and programmed to protect the elite from the unruly mob? I’ll admit that I am pulling most of this stuff out of the sky right now but isn’t it time to ask these questions, especially in regard to the appropriateness of automation for an economic system so heavily dependent on markets and labour-based income. This doesn’t necessarily have to translate into nationalistic pride or racism (although might well do), but does at the very least mean no longer being laughed at. Those that have ever laughed at ‘chavs’ (such as the millionaire stars of Little Britain) have something to answer for right now, as Rhian E. Jones’Clampdown argued. The willingness of Nigel Farrage to weather the scornful laughter of metropolitan liberals (for instance through his periodic appearances on Have I Got News For You) could equally have made him look brave in the eyes of many potential Leave voters. I can’t help feeling that every smug, liberal, snobbish barb that Ian Hislop threw his way on that increasingly hateful programme was ensuring that revenge would be all the greater, once it arrived. The giggling, from which Boris Johnson also benefited handsomely, needs to stop. As this version of Brexit indicates it’s not just people’s pockets that can play a part in decision-making (a view that massively oversimplifies human and social complexity) but an array of emotions informing a sense of dignity and related socially-situated perspectives. A similar vibe is apparent among Trump supporters as detected by the work of Arlie Hochschild and in this fascinating piece by a former member of a rural community where Trump support is strong. Inequality and exclusion it would seem are no longer things the liberal cultural elite can afford to ignore, or worse, ridicule. I argued against the stark polarity and contrast between facts and values. There is a dialectical interrelation between facts and values, in which we are never situated in a value free context. Values always impregnate and imbue our social praxis and our factual discourse, but at the same time, facts themselves do generate evaluative conclusions. This paved the way for the refutation of Hume’s law. * Truth and factuality are themselves norms, but that is a presupposition of all factual discourse, and on the basis of that value we can generate other evaluative conclusions. * Hume’s law separates the factual from the normative and argues that normative statements follow on from factual ones. An in-depth survey of GPs finds that public patients may have to wait up to 25 times as long as private patients for tests to diagnose cancer. This two-tier system kills. This adds to the existing inequalities in cancer already made visible by previous research here and here. While it is good this stuff comes to light it is unfortunate that the continuous nature of this problem will all too easily be lost again in episodic media reporting and campaigners will continue to be obsessed with the biological existence of the disease while overlooking the additional crucial and deadly social elements.